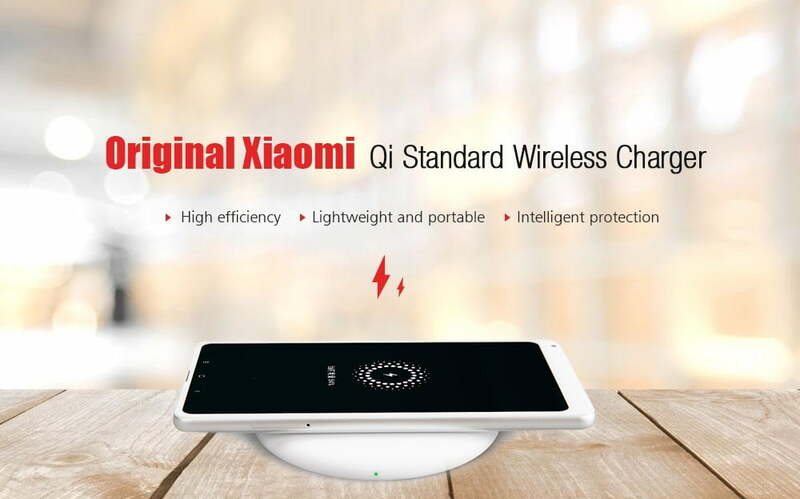 Product Description: Xiaomi Qi-Certified Wireless Charger comes with two charging modes for improving efficiency and intelligent protection for safe uses. This charger is only 12.44 mm thick which is quite easy to operate and carry, lightweight and portable. GearBest brings you the original Xiaomi Qi-Certified Wireless Charger Global Version at a significant discount. Get this deal using the link given below! Xiaomi Wireless Charger comes with two charging modes for improving efficiency and intelligent protection for safe uses. This charger is only 12.44 mm thick which is quite easy to operate and carry, lightweight and portable. The body is made of Silicon Surface Material which increases the friction and reduces the shock for safety against skidding and dropping. With this charger, you can charge any Qi standard wireless mobile devices like iPhone X / 8 / 8 Plus, Samsung Galaxy S6 / S6 Edge / S6 Edge Plus / Note / S7 / S7 Edge / S8 / S8 Plus / Note 8, Xiaomi Mi Mix 2S, etc. When used with a Quick Charge 3.0 or Quick Charge 2.0 adapter, the Xiaomi Qi-Certified Wireless Charger (Global Edition) can provide up to 7.5W power. The charger when connected to regular 5V/ 2A or 5V/ 2.4A adapter provides 5W power. The Xiaomi Qi-Certified Wireless Charger (Global variant) has a USB Type-C interface, and temperature limits up to 40-degree Celsius. It comes packed with a USB Type-C to USB cable. Talking about Intelligent protection, it is designed to offer multi-protection support on the wireless charger that helps protect your devices from over-voltage, high temperature, and short circuit. This is an excellent deal from GearBest.com to get the Original Xiaomi Qi-Certified Wireless Charger Global Edition at 21% OFF. Hurry up, don’t miss the deal, because we don’t know when this deal will end.